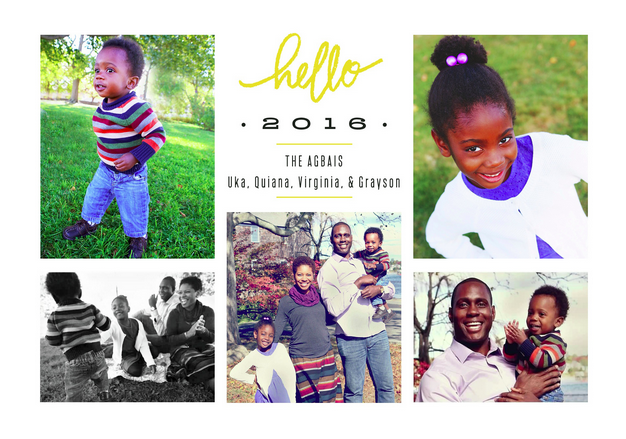 I have a confession: if you send me a holiday card I save it forever! 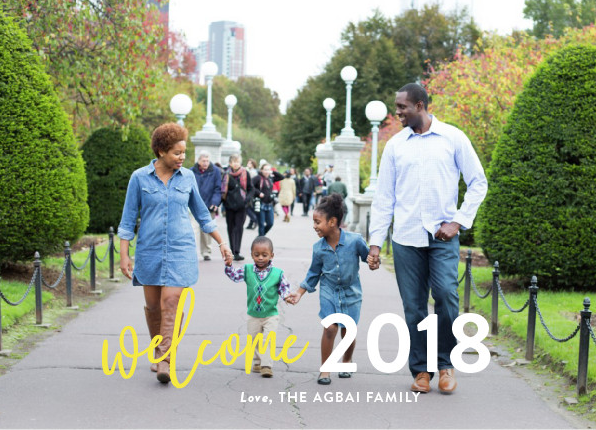 Moving 5 times across 4 states since we became a family has helped us make many friends over the years, so when the holiday season comes it's such a joy to see the updates come through the mail. Social media is great and all, but there's something to be said for getting a piece of mail and slowing down to relish in how old friends are doing, displaying the cards prominently as they arrive. 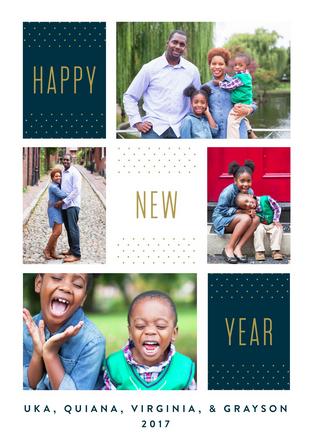 1) Make it a New Year's Card - this is the number one thing I've been doing since we sent our first card as newlyweds. There are a few reasons for this: it gives me extra time to get my cards out; my card has longevity and stands out from the rest of the holiday mail; it's a more inclusive card. 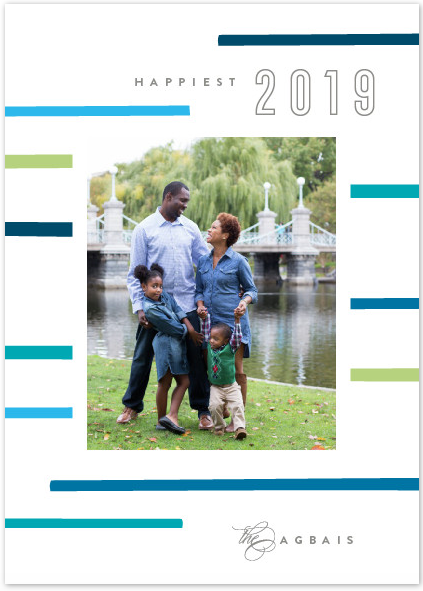 2) Use Minted's Address Book and FREE Address Printing - each year I've been using Minted it's such a relief to be able to just go in and update my recipients' addresses all at once. This year Minted's introduced a feature where you can request address updates with a single link. So convenient! Once I've reviewed my addresses when I'm ready to send I always select free address printing on the matching envelopes that the cards come with (I especially like kraft paper). HUGE time saver! 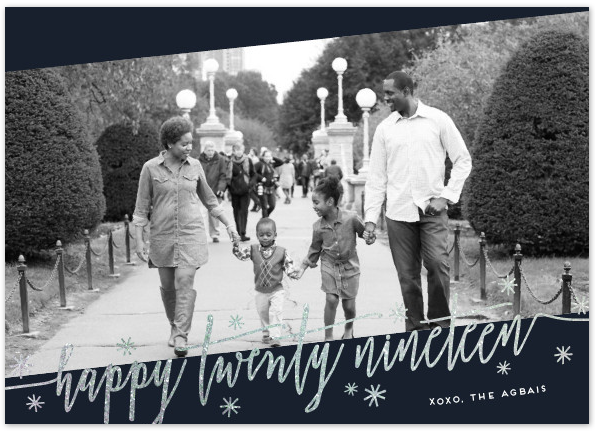 3) Look for discounts - Sign up for Minted's newsletter as well as follow on social media; there's always some type of promotional code to use (for example through today, December 6, use JOY25 to save 15% on all their holiday cards). 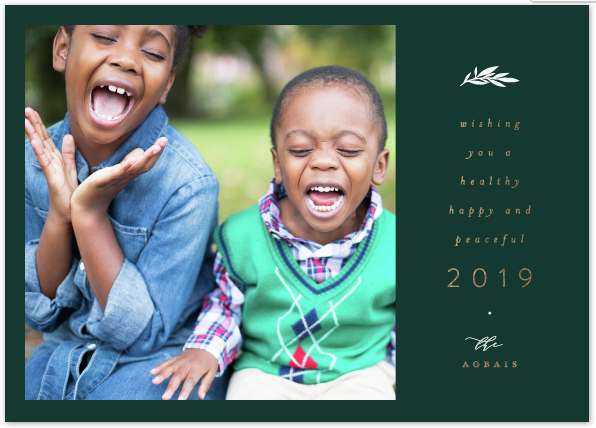 Beyond holiday cards Minted also features stunning custom artwork to display in your home. There's nursery and party decor too!